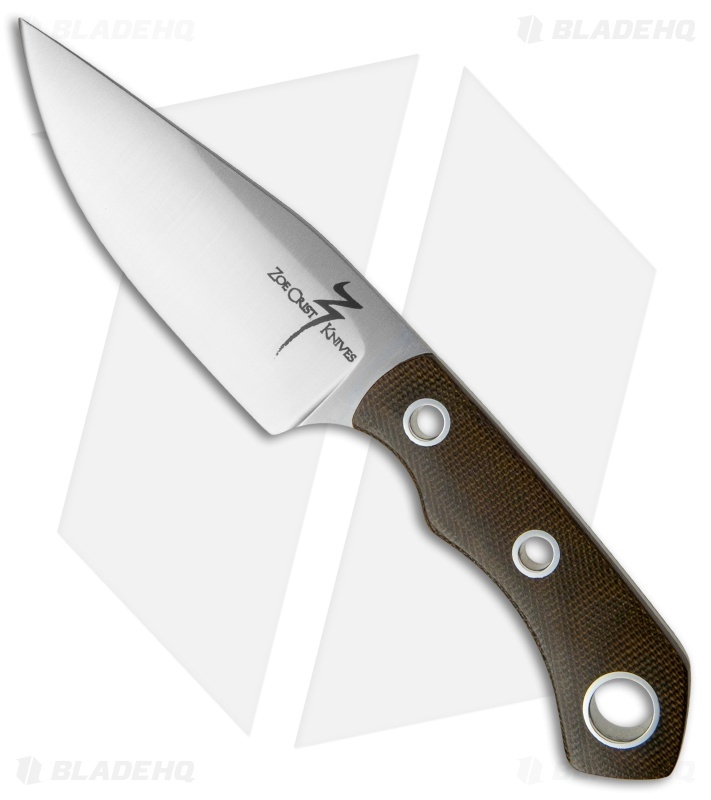 The Zoe Crist Knives Wilderness EDC is a compact fixed blade with a lightweight design made for easy carry in the field. This knife features a durable full-tang 1095 blade with a satin finish and a razor sharp edge. 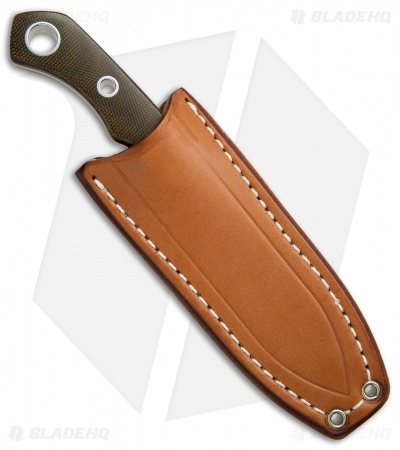 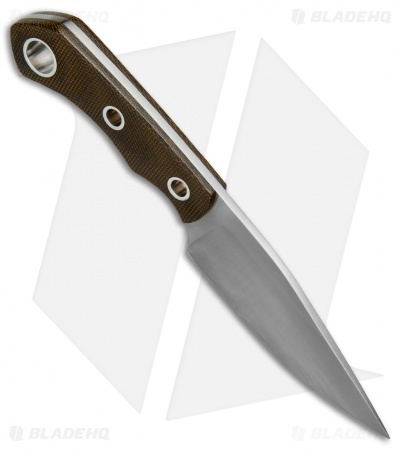 Its handle has ergonomically contoured green canvas Micarta scales that feel great in hand. Includes a leather sheath with embedded magnets for secure belt or neck carry.